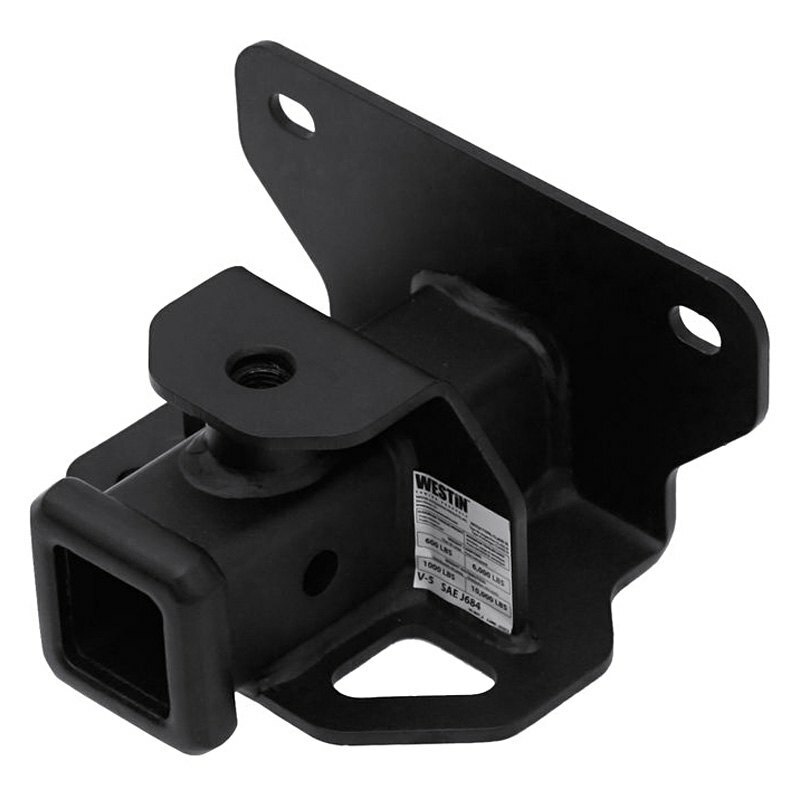 Class 3 Square Concealed Rear Trailer Hitch (65-1015) by Westin®. Color: Black. Three-year warranty. The Weight Carrying Capacity is 6000 lbs, while the Tongue Weight is 600 lbs, 10000/1000 Weight Capacity with use of Weight Distribution System, and the Receiver Tube Opening Size is 2″. Westin’s Class III & IV Receiver Hitches feature a high-quality textured black powder coat finish to match vehicle cladding and bumper trims. All hitches provide a unique delta cut safety chain loop and a stylized forged steel collar. Class III hitches offer 3500 – 10000 lbs towing capacity. Class IV hitches offer 10000 lb. towing capacity. Includes a 2-1/2″ structural bar, made of e-coated steel for maximum corrosion protection, and a 2″ receiver. No drilling required for most applications.